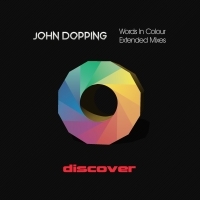 John Dopping's debut artist album "Words in Colour" gets the full "extended" release treatment with all of the original tracks now available in their full length glory for the first time. This makes most of the tracks perfect for club play but this is more than just a collection of club tracks. From the opening track, The Fire Behind, which builds from its chilled introduction through to heavy duty breaks to the final track, Malady, John Dopping takes you on a musical journey that is just as much at home in the pod as in the club. This is a pedigree artist album bringing in John Doppings multi genre influences from the coolest realms of electronica and beyond. Early support from Oakenfold, DJ Yahel, Simon Paterson and Activa further confirms that pedigree! 'Words in Colour - Extended' is available now from Beatport and iTunes.